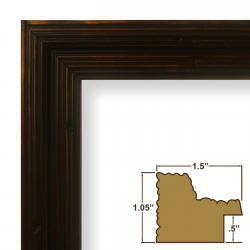 Poster frames can turn your home into a mini art gallery. 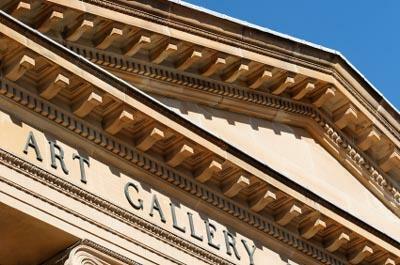 If you're in the process of redecorating, you may be searching for a frugal way of hanging poster-sized photos. Instead of being disappointed you can't afford a piece of original art for your living room, display a poster featuring a painting by your favorite artist. Use educational posters to decorate a toddler's room while helping him learn his numbers and letters. Hang a poster with a favorite inspirational quote in your home office. Display a poster featuring a vacation destination you'd like to visit in your bedroom. 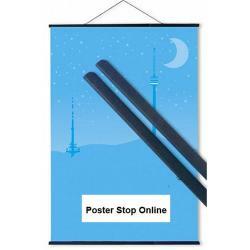 To buy affordable posters in a number of different designs, visit the All Posters Web site. Of course, the disadvantage of this approach is that it tends to make your room like it was decorated by a teenager. Additionally, the posters can easily become dirty or wrinkled. The larger your poster, the more expensive your frame is going to be. If your poster has a lot of excess background you don't think is important, consider cutting it down to a smaller size to help save you some money. Frames with Plexiglass tend to be cheaper than those with glass inserts. 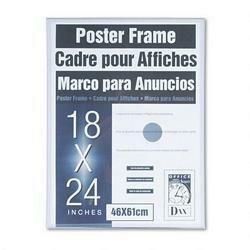 Plastic or metal frames for your posters are generally less expensive than frames made from solid wood. If you find a frame that fits your budget, but doesn't match your décor, consider buying it anyway and sprucing it up with a coat of spray paint. 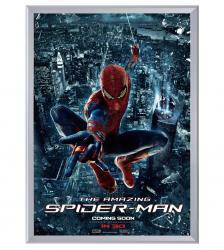 Here are some examples of cheap poster frames available on Amazon.com. Click on the picture to purchase the item from the Amazon.com Web site. To display a large collection of posters, as well as some of your favorite family photos, build your own homemade wire photo wall following the instructions on the LifeHacker Web site. Mount the posters on foam core purchased from an art supply store to keep them from wrinkling and give them some depth. Pay to have your posters laminated at a local stationary shop, then nail two wooden clothespins to the wall to use to "clip" your poster up. Paint the clothespins or cover them with scraps of pretty patterned paper to make them look more attractive. Purchase an ugly canvas painting from a garage sale or thrift shop, then use Mod Podge to decoupage your poster to the surface. Make your own homemade poster frame using scrap wood and the eHow tutorial How to Make a Poster Frame. LoveToKnow Interior Design and LoveToKnow Home Improvement also have a number of articles you may find useful as you work to spruce up your living space.